As a charity lawyer and trustee based in Birmingham, I am reminded daily of the impact that Quakers have had on the city and further afield. Most mornings I cycle past the chocolate factory established by Quaker businessmen Richard and George Cadbury, often enjoying the rich smell of cocoa. My ride to work also takes me past the canal-side house in Edgbaston from which George Cadbury walked to his new factory and several charities established by the Cadbury family, including schools and sports grounds. Recently I was prompted to explore how Quakers make decisions and what we can learn from them to help make charity board meetings more effective. I have highlighted below some areas of Quaker practice which may prompt you to reflect on your own approach as a Chair. The Society of Friends' book of discipline, Quaker faith & practice, is a great source of tips for charity Chairs. It describes, among other things, the Quaker business method which is a suite of tools to support decision making. 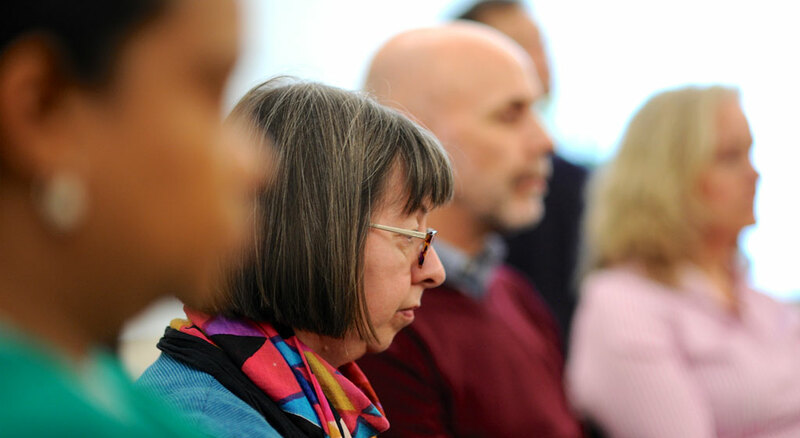 The best known of those tools is the use of silence at the start and end of Quaker meetings to help those involved ‘come with heart and mind prepared’ for the work of the meeting, and leave prepared for what follows. The clerk of a Quaker meeting has a role which resembles that of a Chair – including agenda preparation, minute drafting, and ensuring the efficient conduct of business - but there are interesting differences. The differences are subtle and may be seen as differences of emphasis rather than principle. Some are highlighted below. Humility: the clerk is the servant of the meeting. The clerk will, where space allows, be seated facing the others in the meeting. The clerk is not there to lead the meeting but to help provide the meeting with a clear structure and to capture the resulting decisions. Just as a good Chair will distinguish between his or her personal view on an issue and the 'sense of the meeting', the clerk will ‘stand aside’ - literally moving to a different position - when giving a personal view during the meeting. Contributions and 'air-time': Each person is generally expected to speak only once to each agenda item and only then to make a point not yet made. The extent to which this approach is applied varies but there is a general expectation that people will speak sparingly and not seek to respond every time an opposing view is expressed. Navigating conflicting views: Quakers do not vote in meetings because they 'believe this would emphasise the divisions between differing views and inhibit the process of seeking [the right way forward]'. This removes a tool which many Chairs find reassuring - the option of calling a vote - but charity Chairs should, in any event, be seeking to make decisions by consensus where possible. No one watching Parliamentary debates on Brexit can fail to see the danger involved in emphasising the divisions between those with different views. Where divisions are serious, the Quaker business method offers a variety of tools for airing and resolving issues in dispute. For example, 'threshing meetings' provide a forum for expressing different opinions openly, and sometimes forcefully, in order to defuse a situation before a later meeting for worship or business. Contemporaneous minutes: the minutes are written and agreed as decisions are made in the meeting. This avoids the chore of writing or reviewing minutes after a meeting which many Chairs may recognise. It can however place considerable responsibility on the clerk who must capture the result of the meeting in a minute that all those present can unite behind - and do so with very limited time to reflect. If this process is carried out carefully, it can take some time but the decision reached as a result will have the support of all present so that it can be implemented quickly and with commitment. Discernment: great emphasis is placed on the role of the clerk in 'discerning' the sense of the meeting. This is more than just wrangling a compromise or consensus. It is ‘a process of waiting and deep listening that filters out distractions and ‘noise’ to reach clarity’. This reaching for a better decision is a collective process. The clerk may receive ongoing feedback from individuals in the meeting. Once a minute is taking shape the clerk will put it to the meeting and, if the minute captures the sense of the meeting well, may be met with the phrase “hope so”. Why "hope so" and not plain "yes"? Because "yes" puts the focus on the individual: "I agree", while "I hope so" allows space for others to respond: "I hope we can be in unity on this matter". Everyone in a Quaker meeting is responsible for the process, not just the clerk. You may already apply some or all of these methods in your own chairing role. For example, you may summarise discussions and decisions at the end of agenda items to check consensus and to ensure the minute-taker has an accurate record. Similarly, you may have built a culture where silence and reflection are part of your meetings. If some of these approaches are less familiar to you, why not find out more about Quaker business methods and how a governance tool kit used for more than 350 years could work for you? A good starting point is The 'Q' bit - at the heart of a Quaker-led organisation (PDF) from Quaker Social Action. For a look at the Quaker Business Method more generally incorporating insights from cognitive science, see Shivaji's article in the March edition of Civil Society Governance and Leadership – how the Quaker Business Method can be used in board meetings. Like any governance toolkit, the Quaker Business Method is not fool-proof. For an interesting reflection on governance failings in the Quaker world, see this article on When Quaker process fails. A list of further resources on the Quaker Business Method and charity governance is available through VWV via Charities OnStream (free registration required). Shivaji Shiva is Charities Partner at the law firm VWV. He is a trustee at the Cyclists’ Defence Fund. Follow him on Twitter @ShivajiShivaLaw.